This Error Message Article explains the TEKLYNX CENTRAL (TC) 4.5 warning message “IIS is not configured properly. Please, make sure that ISAPI restrictions are valid.” that occurs during the install and details how to fix the underlying problem that caused it to appear. We believe it has to do with the way Windows Server 2008 was setup prior to TC installation. Specifically, .NET Framework component. Most modern Windows Server 2008 images are setup with .NET Framework already installed but without IIS. Frequently, it is version higher than 4.5.2 version that TC needs. 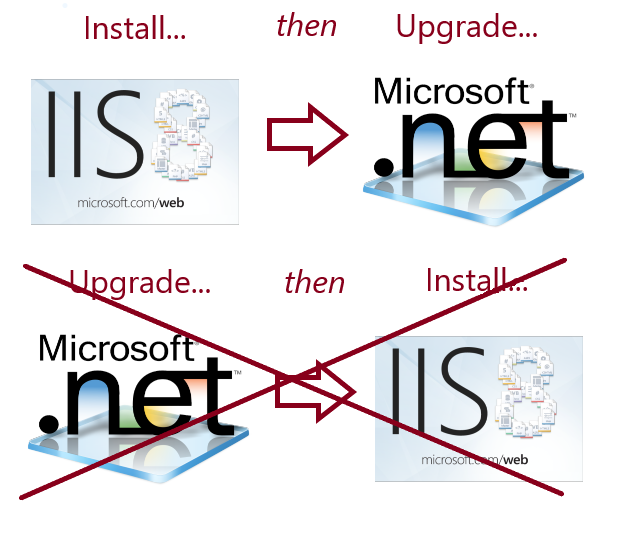 It appears that .NET, when installed or upgraded, will only install IIS components (i.e. ISAPI Restrictions and Filters) if IIS is already installed on the server. That makes some sense…why install components to something that is not being used or even installed? Since, in this situation, IIS was installed after .NET was upgraded, those components were missing. Therefore, when the TEKLYNX v4.5 installer is run and detects the missing components, the ‘IIS is not configured properly’ message appears.If you disregard the warning message and proceeded with the TC installation, the installation will complete. However, there is a very good chance that the BBUI (Web Interface) will not work since it depends on a correctly configured IIS to run properly. Issue Found: TEKLYNX CENTRAL installed on Windows 2008 Server.